When it come to winter, there are two extreme positions: complain about it, or embrace it. 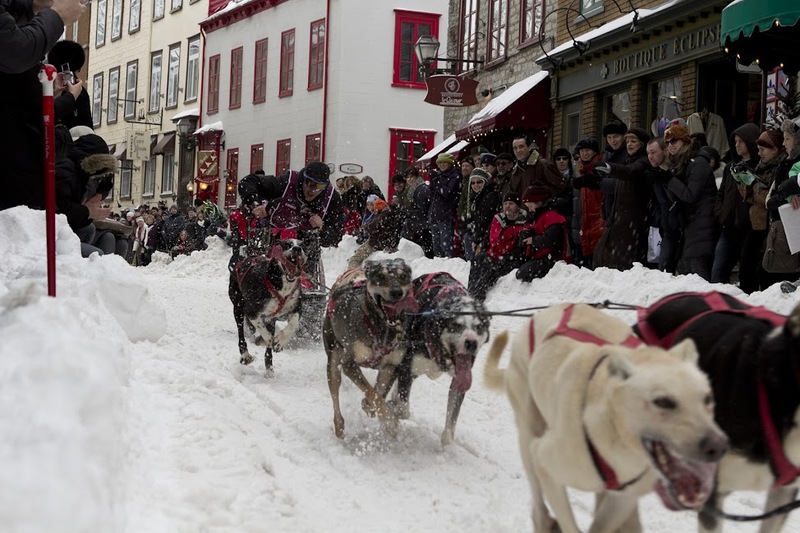 The people of Quebec City, Canada, have chosen the latter path, with their Quebec Winter Carnival, or as it’s called in French, Le Carnaval de Québec. This 17-day party relies on snow, ice, and cold for its spirit. Carnaval is not the only winter carnival out there, nor is it the oldest, but it is the most widely attended, drawing between 550,000 to 600,000 people a year. It’s typically held during the first two weeks of February, and the 2015 edition will be January 30 through February 15. What do all those people do? Spent a lot of time outside. The signature event may be the canoe races. 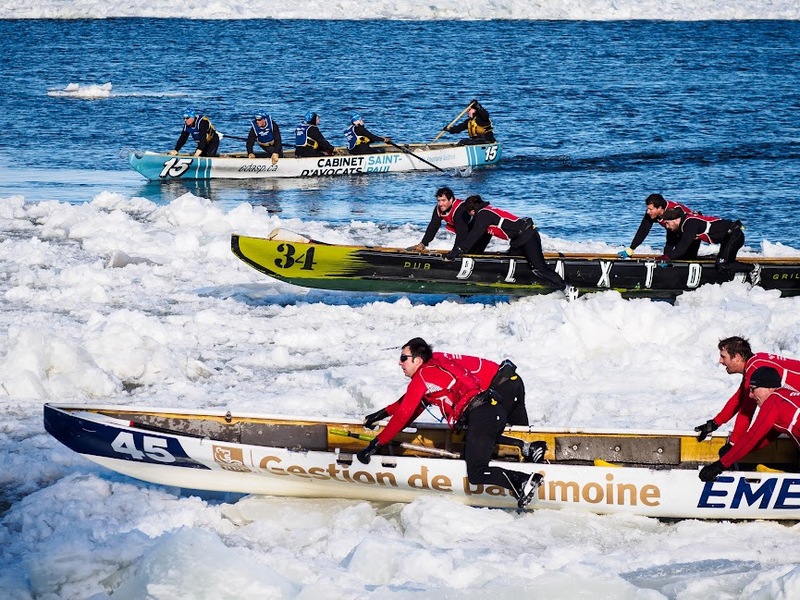 There are three versions, but in all of them, teams push canoes over chunks of ice down to the open water of the St. Lawrence River and then continue the race in the chilly open water. (Here’s a bonus geography point: the river drains the Great Lakes into the Atlantic Ocean.) The race has its roots in the early days of European settlements of the province, when canoes were a primary mode of transportation. But today the canoes are high-tech affairs in which elite teams bring engineering prowess to bear on the design process. Canoe races take teams across ice before they reach the St. Lawrence River. 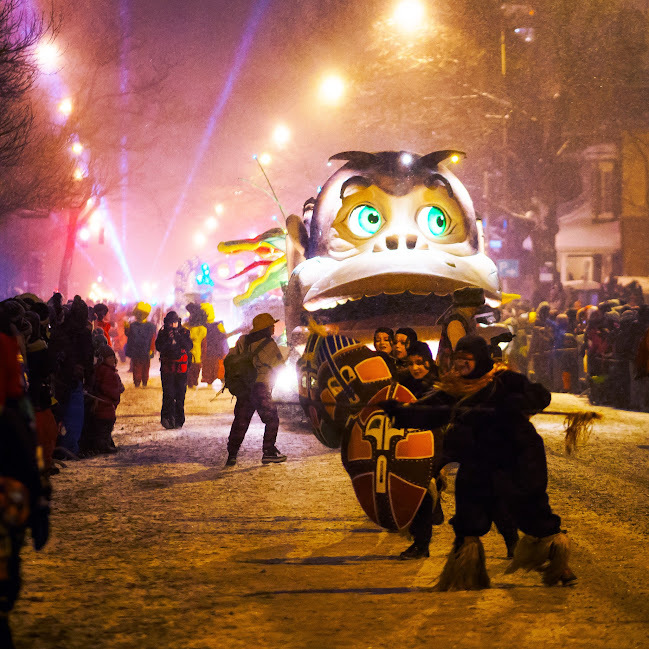 A more sedate competition is the international snow sculpture contest, and if you’d like to simply watch a spectacle, you can take in one of several nighttime parades. Parades are an integral part of carnaval. The festival has a mascot, benevolent ruler, Bonhomme, a snowman-like figure come to life, wearing only black buttons, a red cap, and a multi-colored sash about the torso. 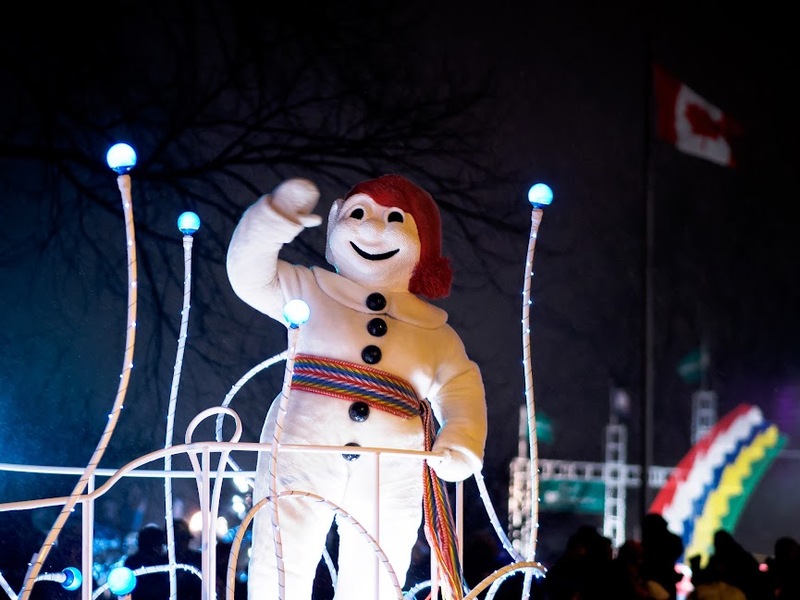 Bonhomme Carnaval, to use his full name, is also considered to be the ruler of Carnaval and more generally, an ambassador for Quebec’s claim to be the “winter capital.” Supporting Bonhomme is a cast of over 60 employees, a staggering 1,400 volunteers, and a budget of $10 million Canadian. As you’ve no doubt surmised, ice is a big part of the event. There’s an ice palace for Bonhomme, which is open to the public for viewing. Separate from the carnival, but a short distance from the festivities, is an ice hotel, with over 40 rooms and suites. If you’re not interested in staying overnight in the hotel, with an average indoor temperature in the 30s, you can take a tour during the day. Not everything happens outdoors, though. There’s a formal dance at the Hotel Frontenac, a century-old building that evokes even-older castles. The Frontenac has seen more than its share of world leaders involved in key events, such as Winston Churchill and Franklin Roosevelt drawing up plans during World War II. The Hotel Frontenac, which sits on a bluff above the river, hosts a formal ball during Carnaval. 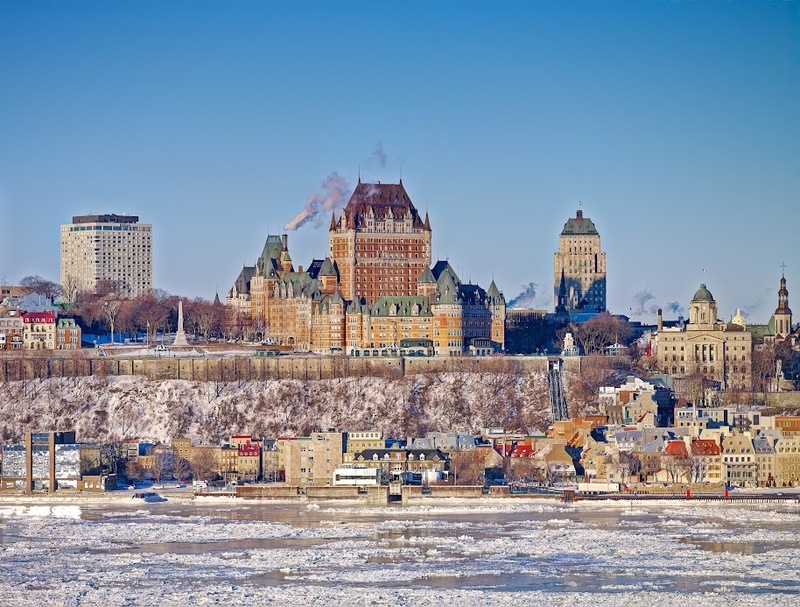 Click here for the main page about Quebec.